Many years ago, I was very interested in creating games. Unfortunately, I resigned from this path for my career. When I look back, this was one of the best methods for me to learn to program. After many lines of codes, you are getting something that you can show anybody, and they will understand what you created which was very motivating. There are many, many algorithms which you must understand and implement. In my time, when web games weren’t yet very popular, this was also a great environment for me to learn C++ and C - which I use today. On the other hand, the language doesn't really matter - if you want to learn a new language why not to write a game in it. Today almost every language has graphics libraries you can use. Don't limit yourself and don't be afraid to scratch your own framework. If you are looking for something to implement and you are new in computer science, with a clear conscience, I recommend you create a remake of your favorite game. There are also very interesting competitions. 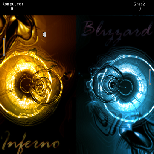 The goal of those competitions is to create a game with some theme in a limited time (sometimes a few hours, sometimes a few days). For me, COMPOS (how we were calling those contest) organized at warsztat (polish forum about creating games) was very challenging and educative. In general, there were no prizes at those competitions - we did it just for fun. However, the real-life experience I earned at one of the Polish GameDev conferences - IGK organized in Siedlce, was invaluable. Some of my games like "Xenoinvasion" (developed with Gyn and Xa) won first place. Others, like "Przemineło z bombami" (developed with Krzysiek K., Samlis and artpoz), took their place on the podium, and others didn't even work at the the end of the competition and there was nothing to share. If you are looking for competitions like that I recommend one organized by Gynvael during this Summer. (June 1, 2014) 3rd place at 7h COMPO at IGK'2014. 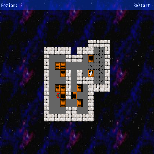 A clone of the well-known game Bomberman. Game for two players. Authors: Krzysiek K., Samlis, artpoz and oshogbo. (Feb. 5, 2014) The game which took the first place at 6.5h compo at IGK'10. The theme of the competition was "Artillery Game". Game work on win32 and GNU/Linux. You can find more information in the blog post (sorry only in Polish). (Jan. 6, 2012) Is a simple game where you must remember the location of each color. Game is only available for Android phones. 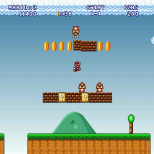 (Nov. 7, 2009) A mode to Mario Forever v 3.5. This mode changes the control from the keyboard to the camera. To use this mode, you need a green light. (March 25, 2009) In this game, we control two brains. Those brains belong to two very nice people: Sylwia and Stefan. The goal of this game is to destroy the secind brain. After killing the brain, press SPACE to exit. 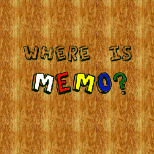 This game was written for a COMPO on IGK. Compo was a "psychedelic game". (Sorry, but sounds are only in Polish). 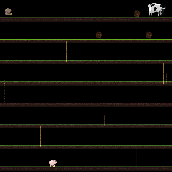 (March 24, 2009) Clone of the DonkyKong game. The game was made for a 3h compo. 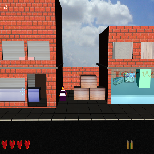 (July 12, 2007) The first game I ever made. 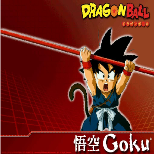 This is a simple brawl with Dragon Ball characters. 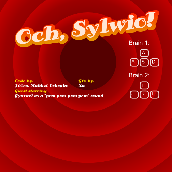 (March 19, 2007) Classic puzzle game. Your goal is to move boxes in the correct order. 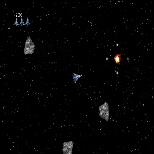 (March 11, 2007) In this game, you must pilot a ship and avoid colliding with an asteroid. Everybody has played this game in the past, so a description is not needed. (Feb. 6, 2007) Good old pong game. You have two options. The first is to play with the computer and the sconed one is to play with a real friend (if you have one).